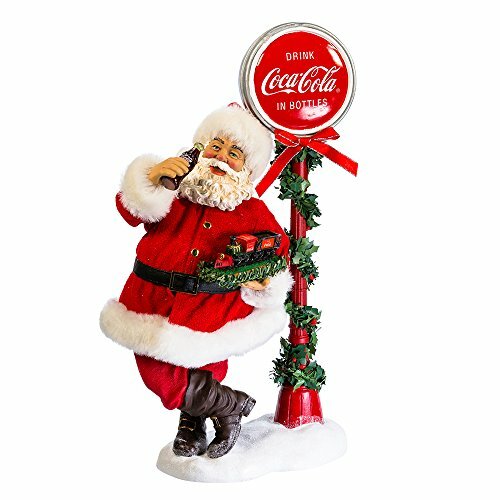 Add a touch of nostalgia to your holiday décor with this 114" Santa with LED Light-Up Coke Sign from Kurt Adler. Santa Claus is featured here in his signature red and white suit. He is enjoying a bottle of Coca-Cola while leaning on a large Coca-Cola lamp post that lights up when you switch this piece on.